Employees are working on many subjects, different processes. They need a unique access point to be informed of any unusual event or alert. They need also to watch their different activities the easiest and the most efficient way. 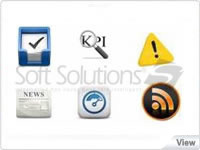 Then Soft Solutions provide the Suite users with a tool to directly push the information to them instead of the latter having to hunt for the needed information. Then, the users will be able to detect where they need to act and then follow the links to execute the related actions. The Dashboard provides at-a-glance views of key performance indicators (KPIs) relevant to your objective(s) or business process(es). It permits also to be redirected to the right page or to present contextual information to have a full picture of the situation, to take the right decision. 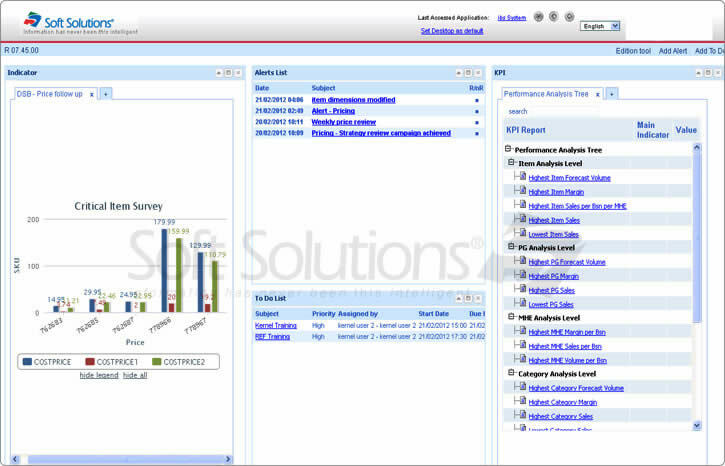 The Suite portal brings the user the information he needs to treat in priority. He doesn't need to look for unexpected business behavior in each application. 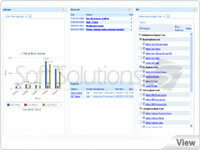 ibs Dashboard is capable of receiving and merging information from any application. Then, the same user can be alerted in the same place about an event coming from ibs Referential and ibs Pricing. Each user needs to monitor his activity thanks to Key Performance Indicators. The ibs Dashboard brings the user the KPI reports he needs (and he is authorized to consult) from two different manners: either like a library or displaying directly the report and/or chart results, refreshed in real time. Thanks to ibs Workflow, the ibs Dashboard is fed continuously with real time events. The alert portlet also authorize users to send themselves alerts to each other. The To-Do portlet can be also fed through workflow or manually in case the user wants to manage his schedule with the automated business processes in the same place. While corporate information sharing can be strategic in term of team building, the ibs Dashboard can vehicle corporate news thanks to a banner. Customization and Template Management: Customize your own Dashboard and Define default design by group of users. ibs Dashboard provides Soft Solutions' users at-a-glance views of key performance indicators (KPIs) relevant to one or many particular objective(s) or business process(s) (e.g. 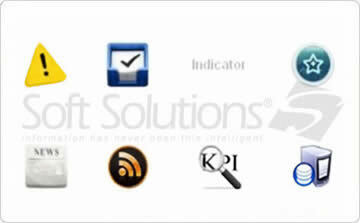 Sales, marketing, human resources, or production) covered by Soft Solutions' Suite.